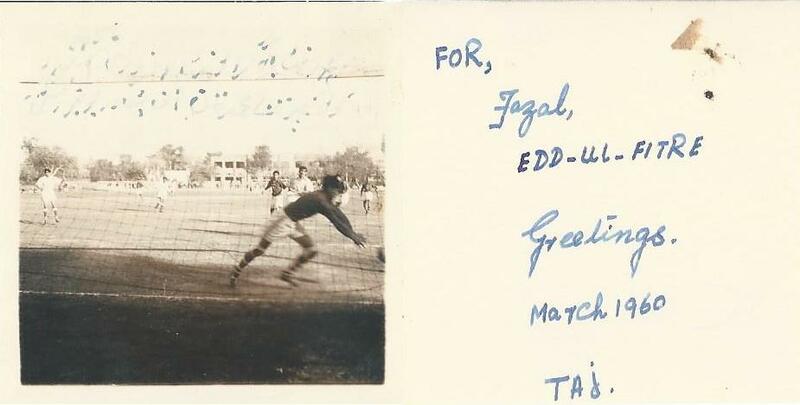 Taj Mohammad Khan was an excellent football player. He played as goalkeeper and also on defence position in the football teams he played with. Text on the right side of the photo is written with Khan’s own handwriting.